A fulfilling life starts with a full night’s sleep. 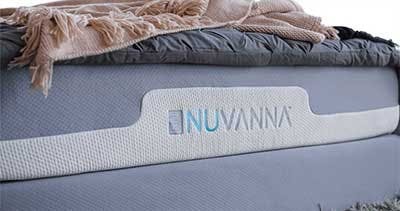 See how Nuvanna gets you there. Keep you undisturbed when your partner moves. Support and keep your spine naturally aligned. Better sleep. Just the way you like it. 1Why is there only one option for firmness? Our mattresses are made out of three distinct layers designed to perform different functions but together offer a supremely comfortable and supportive sleeping surface. The first layer cradles you while dispersing body heat to keep you cool. Our second layer is designed to minimize motion transfer. It responsively contours to sleep movements so that you feel its continuous support without feeling every motion your partner makes. 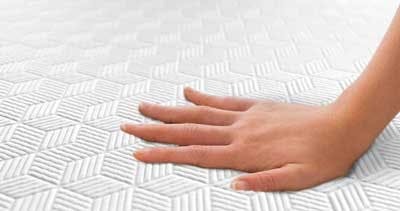 Our third layer features progressive support to eliminate the quick sand feeling that often plagues memory foam mattresses. We wrap all that in a moisture-wicking, breathable cover made of TENCEL® an ultra-premium fabric with superior performance. All our materials are the highest quality and contain the latest innovations in comfort technology. 2How do I know I'll like the mattress if I don't try it before I buy? *Interest will be charged to your account from the transaction posting date at 19.99% APR if the purchase balance is not paid in full by the end of the applicable 6 or 12 months promo period. Minimum monthly payment required. Additional payments may be required to pay off purchase before promotion expires. Promotional offers are for qualifying customers. Non-promotional purchases have a standard APR of 19.99% and are subject to a potential $2 monthly minimum interest charge. 4What does the 10 year warranty cover? Our warranty covers any manufacturing defects that may occur. This includes such issues as unraveled stitching, permanent body imprints, foam splitting, or mattress sagging.